A friend was telling me about plans with partners to put up a company. They thought they should put up a solutions company. In my mind, I thought maybe they meant an IT Solutions company. Yes, that's it, he said, PLUS everything else that they can provide a solution to. Somebody needs a "solution" to garbage problems, they have a waste management solution. Somebody requires a "solution" to a banking problem, they have bank software solution. Somebody needs help with finances, they have a finance solution. What if someone has a relationship problem, can you help them find a solution too? Whettaminute! 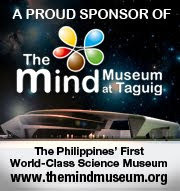 Are you planning to put up a sari-sari store? Coz from what I'm hearing, that seems to be what you're building. I said, if you want your business to succeed, it is better to have some FOCUS. Even T. Harv Eker said in his Millionaire Mind Intensive Seminar (which I attended last year in Singapore) that you should (a) work on only one project, (c) build it to success, before (c) moving on to another one. From the customer's point of view, it would also help that you have a BRANDING . What helps branding is if your company can be easily associated with a specific service or benefit. To be a company that is a jack of all trades, it is hard to visualize that - unless you're trying to be a mall. 1. It helps you GROW your business to SUCCESS FASTER. Focus allows you to devote all your energy in just one thing and focused energy - which is really what a laser is - drills holes, makes a way, makes things possible. As they say, what you focus on expands; if you want your business to grow, to expand, to reach great heights, then focus is essential, in fact crucial. Focus, or perish! 2. It helps with your BRANDING and IDENTITY. (c) what value you want to impart to your clients. When all that is clear, mention an industry you have successfully built into your reputation through focus and commitment, then that becomes your branding, your identity. You will have become easily rememberable by the people whose business you want. 3. 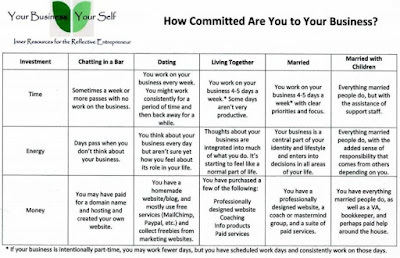 It is a manifestation of your level of COMMITMENT to your company. 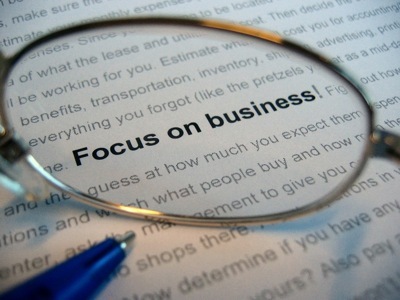 Achieving focus means having also achieved a level of commitment to what you or your company wants to happen. It is committing to a single idea (or a bunch of ideas in order to attain or effect a single objective) and being single-minded about the achievement of it. Too many ideas means you are confused about what you want to happen. COMMITMENT is also VERY very important. We have said that for a business to succeed, you have to make meaning. It is not enough to have identified the meaning you want to impart. It is also imperative that you identify what it will take from YOU to be able to make it happen. What is the price to pay? 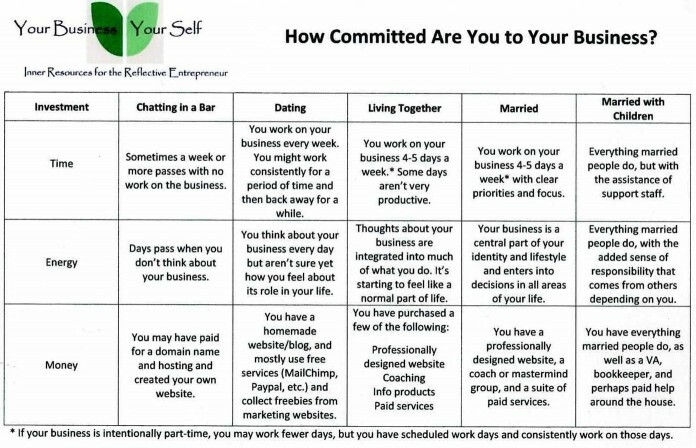 What are you willing to commit? Remember: Committing to something also means letting go of other things. Can you handle it? Again, that brings us back to the importance of FOCUS. A lack of commitment is a telltale sign of misplaced priorities, if not a cluelessness to what you really want to achieve. In the landmark book entitled Good to Great by Jim Collins, the author and his research team found that focus was one of the main feature of the companies that were able to turn themselves from so-so to great, enduring companies. Read it. They are business musts: Focus and Commitment. Without them, one is like a dog chasing its own tail, for no apparent reason, in utter futility, ending up tired and dizzy, yet wondering why nothing is happening. P.S. Here's a bonus, a Business Commitment Rubic. Enjoy! Fiesta, Fiesta! 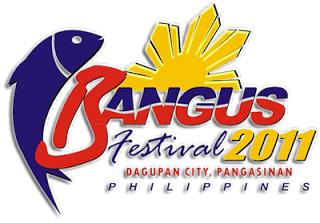 A Bangus Festival in Pangasinan! It's Ten Minutes, Tops!" 1st Monthsary!